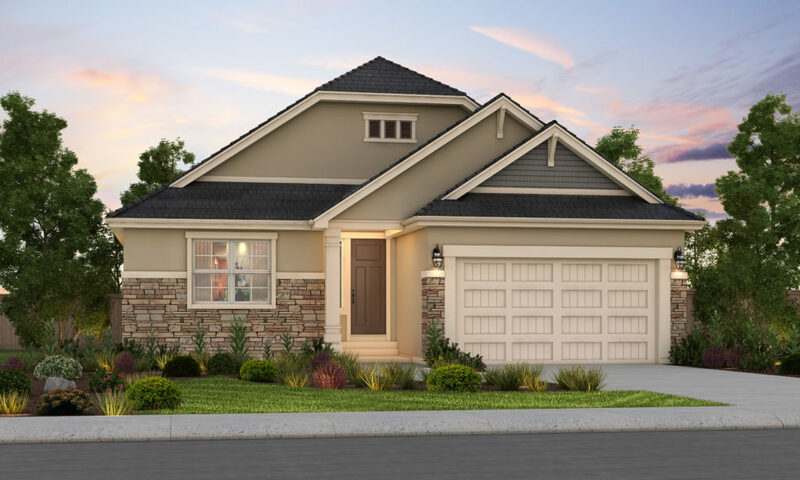 The Madrid villa plan offers an open floor plan with easy living entertaining. The main level includes the master suite with a 4 piece spa-like retreat and walk-in closet, large kitchen nook and island, kitchen open to the living and great room. The exterior patio off the kitchen nook is perfect for entertaining.